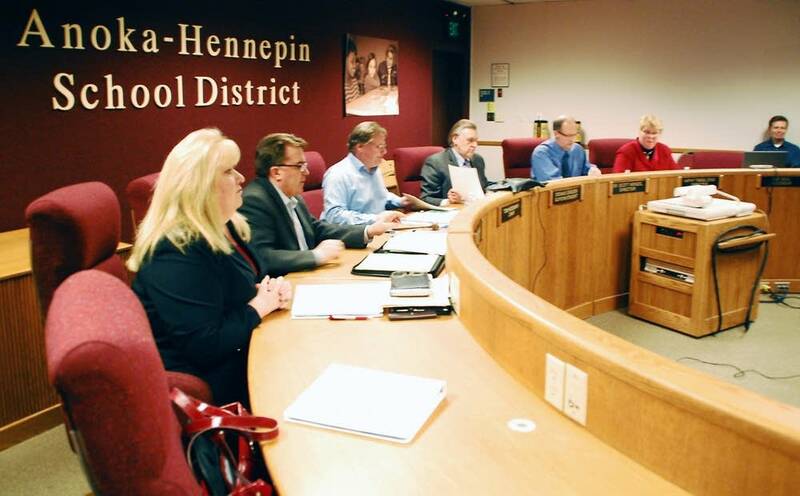 The Anoka-Hennepin School Board on Monday settled lawsuits involving students who said they were bullied because a district policy didn't do enough to protect them. The agreement prompted the resignation of one school board member who said the settlement cost too much and set a bad precedent. After months of negotiation between the school district, plaintiffs, and the federal government, the school board members voted and passed the settlement in only a few minutes. The students were represented by two national groups, the Southern Poverty Law Center and the National Center for Lesbian Rights. The agreement lays out a series of steps intended to reduce bullying and harassment based on sexual orientation, District Superintendent Dennis Carlson said. "When we have finished this process we believe we will have developed a model that all school districts can follow," Carlson said. First, six current and former students who said they were bullied because they're gay, or were perceived to be gay, will split a payment of $270,000. The money will be paid by the district's insurance carrier. The students say a policy that was in place until last month forced teachers to remain neutral when the subject of sexual orientation came up in the classroom. Some criticized the policy after six students, who friends and family say were bullied, committed suicide in fewer than two years. Secondly, the agreement requires the school district to work with the Department of Justice to develop an anti-bullying protocol. As part of the program, the district will identify and track students who are being bullied, and students who are doing the bullying, School Board Chair Tom Heidemann said. "This will help us determine if our improved practices and increased investment result in decreased harassment and bullying of students," Heidemann said. The agreement also requires that the district spend $500,000 to hire three new staff members to help develop anti-bullying programs for the district, and provide mental health counseling. One of the students who took part in the lawsuit against the district is Dylan Frey, a ninth-grader at Anoka High School. Frey, who was bullied in middle school, said he hopes the agreement ends the harassment of kids like him. "I didn't get a really good middle school experience, but high school is getting better," Frey said. "I hope that these kids are going to be good in the future and that they'll have fun in high school and a great time in middle school. They deserve it." Tammy Aaberg, the mother of an Anoka-Hennepin student who committed suicide, is happy with the settlement. Aaberg said her son Justin killed himself after he was bullied for being gay. "The last 18 months have felt like hell," Aaberg said. "This is actually better than I expected." Aaberg wanted the district to acknowledge its previous policy wasn't enough to protect her son. The neutrality policy required that teachers not take a position when the topic of sexual orientation came up in class. The agreement comes after months public hearings where people on all sides of the issue challenged the district's actions. School Board Member Kathy Tingelstad opposed the agreement and resigned after the vote. Tingelstad distributed copies of her resignation to reporters, and said she was tired of the school district being dragged through the mud. "As the largest school district in Minnesota, Anoka-Hennepin has been unfairly targeted by these national groups," Tingelstad said. "The constant barrage of negative media attention has been more than what can be handled by a local school district with limited communication staff." Tinglestad is concerned about the cost of the settlement and the precedent it sets for schools nationwide.